We offer 5 holidays covering the whole route. The longer the holiday, the shorter you have to walk each day. The most popular options are 7 and 8 days. 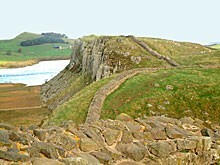 Of all the various Hadrian’s Wall Walk holidays, the 10 and 11 day holidays are the longest. If you want to cover the whole Hadrian’s Wall Walk route but also want plenty of time to enjoy the Roman remains and the landscape, then these holidays are a good choice. We have kept distances particularly short in the hilliest section where the wall and forts are best preserved. The overnight stops are identical for the two options until Carlisle. This 10 day holiday covers the final, easy, 16 miles in a single day, whereas the 11 day option splits it in two at Burgh by Sands. Holidays starting at Wallsend have the first night in Tynemouth. To get to the start of the route at Wallsend to begin your walk, take the metro from Tynemouth to Wallsend (approx 7 min). Exit the station and follow Station Road to Buddle Street where you will find Segedunum Museum. The walk starts in Wallsend near Newcastle upon Tyne, on the site of Segedunum, a Roman fort with an interesting museum. It follows the River Tyne into the city to the redeveloped central quayside, past the ‘Blinking Eye’ Millennium Bridge, which leads to the Baltic Arts Centre and distinctive Sage Building. The route continues beside the river to Newburn, on the outskirts of Newcastle. The trail continues pleasantly through the Tyne Valley Country Park before climbing to the hilltop village of Heddon and onwards through rolling countryside. Turrets and milecastles become part of the landscape. The final 2 miles are marked by a descent through attractive parkland to the North Tyne Valley and the picturesque villages of Wall, Chollerford and Humshaugh, (all of which we use for overnight stops). The route soon reaches the Northumberland National Park and classic Roman Wall country with expansive views and undulating moorland. The route climbs steadily at first, past turrets and Brocolitia Roman fort; it then becomes more steeply undulating on reaching the Whin Sill escarpment. The views of open moorland, the South Tyne Valley, the Pennines and of the wall itself following ridges ahead are breathtaking. The route passes the well preserved Housesteads Fort and continues in a similar dramatic fashion to Twice Brewed. Twice Brewed is a good place to schedule in a rest day so you have time to explore the Vindolanda or Housesteads Roman forts. The route continues to follow the escarpment, over the rugged crags of Windshield, equally as impressive as the previous section. It passes the remains of Great Chester’s Fort and the Roman Army Museum and continues to the pretty villages of Greenhead and Gilsland. Just after Gilsland the fort of Birdoswald is reached, after which the route continues high above the steep sided Irthington Gorge, before beginning a gradual descent at the village of Banks. Rich agricultural landscape and parkland replaces the moorland as the route drops steadily through the villages of Walton and Irthington before reaching the River Eden for the final section into the historic border city of Carlisle. Carlisle’s history is very much evident with its cathedral, castle and old city walls. 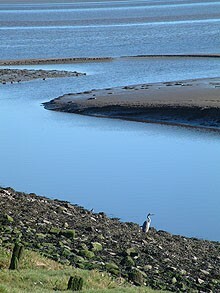 The final section is a complete contrast to all that has gone before; initially along the banks of the Eden and then across the pancake flat salt marshes of the Solway Firth. The mountains of the Lake District are visible to the south and Scotland is just across the water to the north. This expansive estuary is internationally renowned for its thriving bird life and the area has a peaceful charm of its own. Of the National Trails we cover, this is the easiest. The route journeys over rolling countryside and moorlands, but not mountains. Many people with limited walking experience have completed this route. Terrain: Varied. Urban footpaths for day 1, then generally fields and parkland until Housesteads. Moorland up to 350m for the central section, then more fields and parkland to Carlisle, followed by flat coastal plain to Bowness. What’s it like underfoot? Pretty good. Well maintained paths throughout, although sections can get a bit muddy in wet weather. How Much Up & Down? Not too much! Generally rolling countryside with some gentle ups and downs. In the central section there are numerous short steep climbs. One of the great features of our Hadrian’s Wall holidays is the quality of the accommodation, including small country house hotels, guest houses, bed and breakfasts and farm house accommodation. In selecting the accommodation we look for helpful, friendly hosts with good quality, characterful accommodation close to the trail. We always try to arrange en suite accommodation, i.e. rooms with their own bathrooms for each night of your stay. However, in some of the more remote locations accommodation is limited and occasionally we may have to book rooms with shared bathrooms for one or two nights of your holiday, (especially if the booking is made at short notice), but we will always let you know if this is likely to be the case. 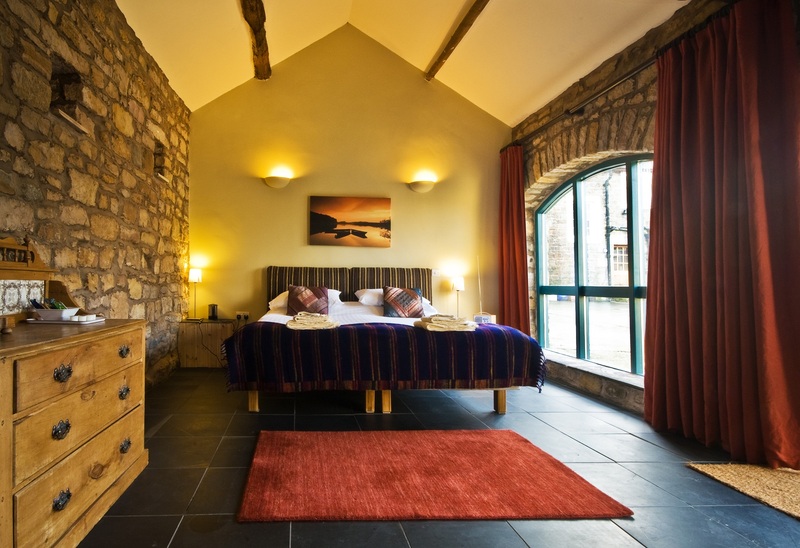 Here are a few examples of the accommodation we use along the Hadrian’s Wall path. Willowford Farm B&B has a unique location on one of the longest unbroken stretches of Hadrian’s Wall. The farmhouse is full of character with exposed wooden beams, local Westmorland slate flooring and antique furniture. This old rectory is full of character and charm. It is set in lovely wooded grounds with pleasant rural views and perfectly located at the end of Hadrian’s Wall. Lyn and Andy are great hosts and can assure you of a great welcome and a hearty breakfast. Hunter Crook Lodge is a beautiful guesthouse situated in lovely open Northumberland countryside. Delicious breakfasts and comfortable rooms. An evening meal prepared by a professional chef using the best local produce. A very pleasant stay after a day’s hard walking along the wall. General travel information on the Hadrian’s Wall area will be in your holiday pack including train and bus timetables where available. If you require car parking whilst walking this route, you can park in Tynemouth on your night of arrival. The following morning you drive to Wallsend which is the start of the route and we will arrange secure parking at this location. You can return to your car by public transport or taxi – please contact us for detailed information. Getting There: Holidays starting at Wallsend have the first night in Tynemouth. By Air: Newcastle International Airport (NCL) has its own Metro station (you will need some change for the ticket machine) the journey time from the airport to Newcastle Central Station is around 20 minutes, change at Monument for Tynemouth. By Public Transport: take the East Coast Main Line to Newcastle. From Newcastle Central Station take the Metro to Tynemouth (you will need some change for the ticket machine), then follow the instructions on the accommodation map in your holiday pack. By Road: From The South, head north through the Tyne Tunnel (A19) follow the A19 up to the A1058 coast road, head towards Tynemouth. From Newcastle, head towards the coast on the Coast Road (A1058). Take the metro from Tynemouth to Wallsend (approx 7 min). Exit the station and follow Station Road to Buddle Street where you will find Segedunum Museum. Take the bus from Bowness on Solway to Carlisle (approx 45 min) there is a bus at 07:34 and 10:12. There is a train station at Carlisle for onwards travel. Twice Brewed is an excellent place for a rest day - in the middle of the most dramatic section of the wall, and close to the best preserved Roman forts. Vindolanda can take the best part of a day - there are extensive remains, a comprehensive museum, and often an archeological dig in progress. Housesteads and the Roman Army Museum are also close by. Follow the most extensive Roman remains in the world from Coast to Coast. Dramatic scenery in the central section. An easy to follow trail with great accommodation. Short breaks available over the best preserved section.